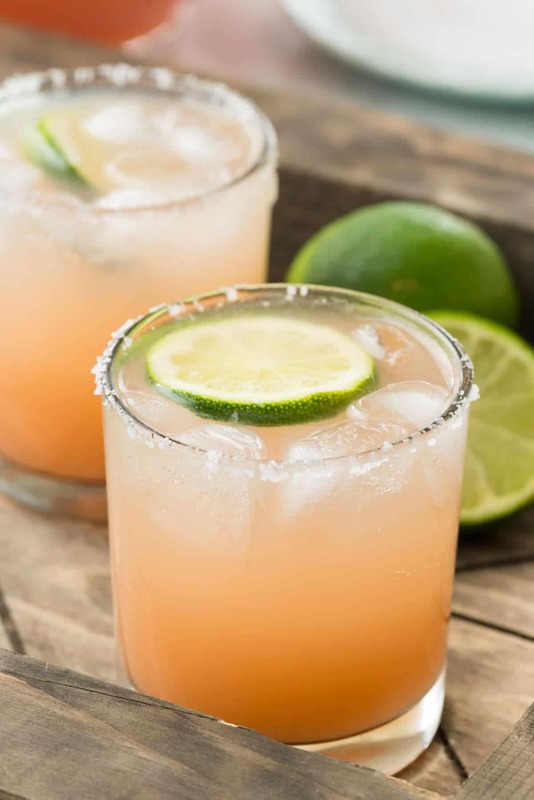 Now that spring has finally spring, we’re already in the mood for having friends over, hosting dinners, and enjoying a casual drink with the people we love on a Friday night! 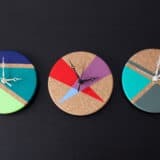 Of course, being the DIY and kitchen enthusiasts we are, our friends and family know that we love a seasonal theme, so it’s no surprise to anyone around us that we’ve been looking up spring cocktail recipes. There’s just something so refreshing about enjoying a cold beverage that actually celebrates the newly warming weather we love so much! 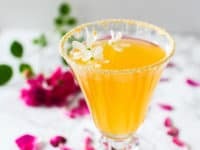 Just in case you love the idea of making lovely spring flavoured cocktails in preparation for patio season just as much as we do, if not more, here are 15 of the best recipes and taste combinations we’ve come across so far in this year’s search. 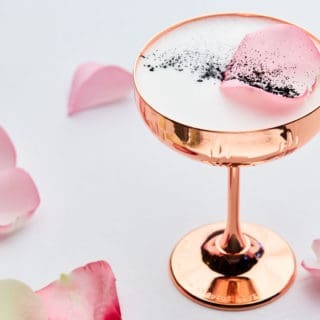 Are you the kind of host who is almost just as concerned with how your fancy cocktails look and can be presented as you are with how they taste, so you’re looking for something very spring inspired indeed? 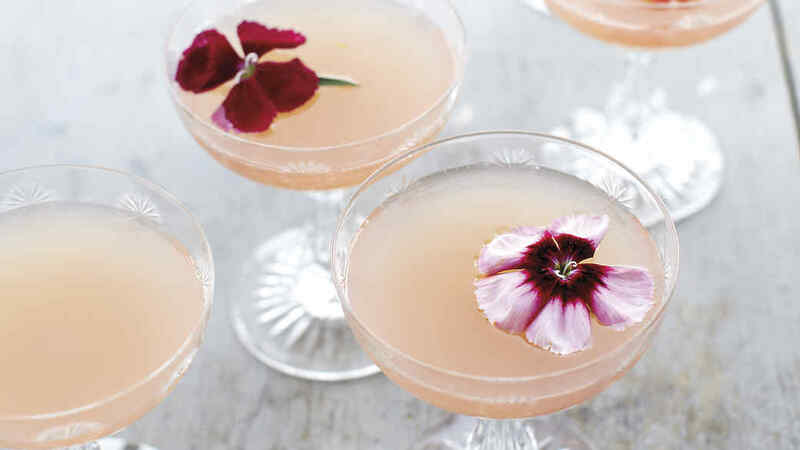 Then we think these lillet rose spring cocktails from Martha Stewart might be right up your alley. 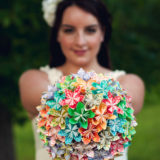 They even show you how to garnish the drink with an edible flower. 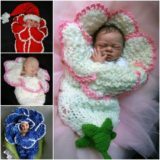 Flowers aren’t the only spring flavour you can work with, of course! 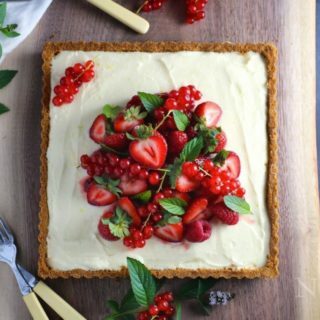 Fresh flavours like lemon are also hugely popular in spring recipes, in both food and drink. 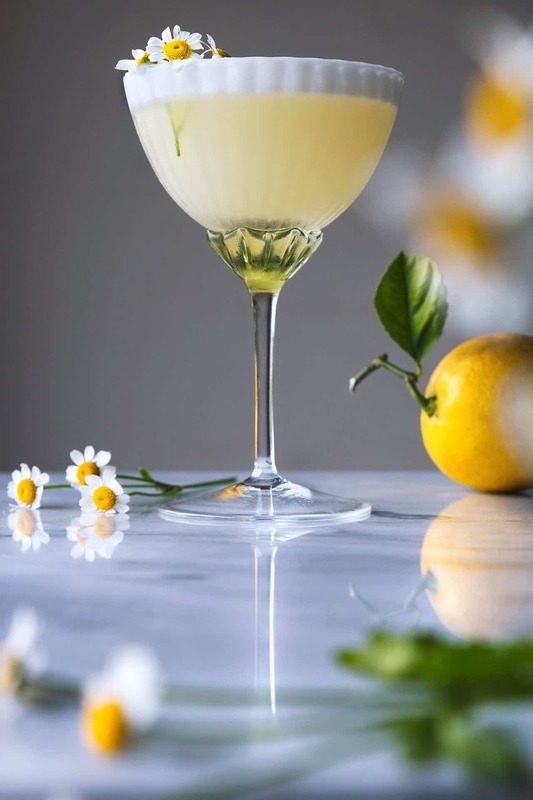 We love the way Honestly Yum combined lemon with the taste of calming chamomile flowers to create a light tasting cocktail that’s sweet, pleasant, and fragrant all at once. 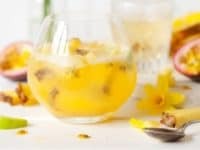 If you’re going to make a spring cocktail that really harnesses the senses of the season, would you rather combine quite a number of things in one place, without creating a flavour that’s totally overwhelming for your guests? 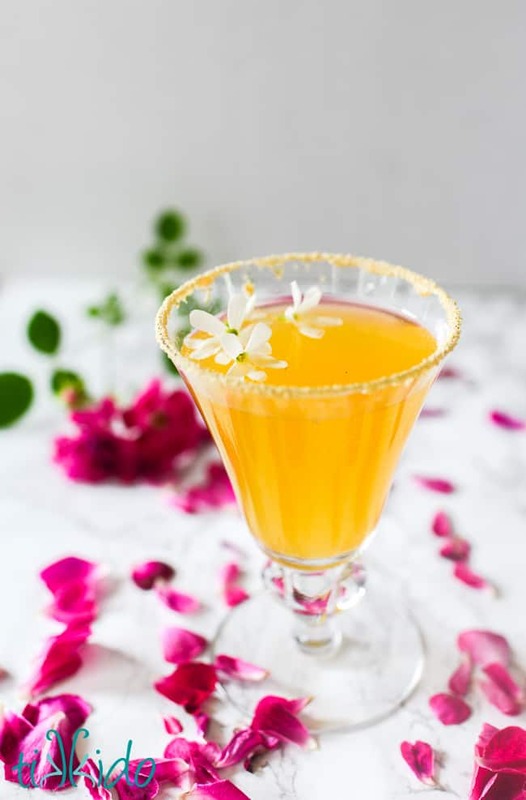 In that case, we’d definitely suggest taking a look at how Tikkido made this cocktail that tastes of peach, honey, and elderflower! 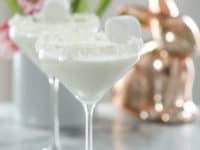 Sometimes our favourite cocktails to make for our friends are the kind where you mix a nice big bowl of punch beforehand and then let your guests help themselves, filling up pre-rimmed glasses as they please! 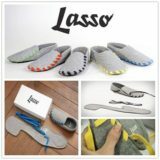 We find this makes things feel fun and casual and saves you from having to mix individual drinks all day. 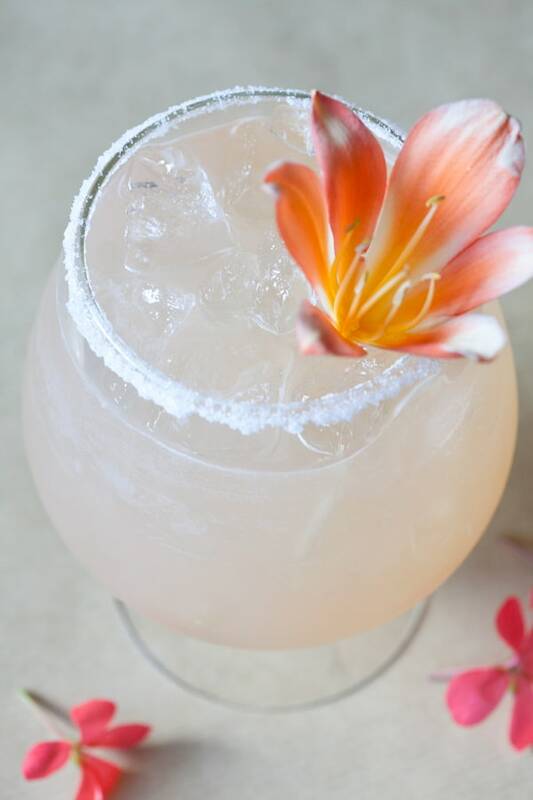 This super tasty salty dog punch from Crazy for Crust is the perfect example of what we mean! 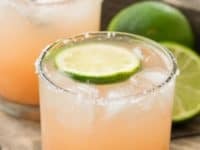 See how it’s made from grapefruit juice, vodka, soda, and a lime and salt rim. 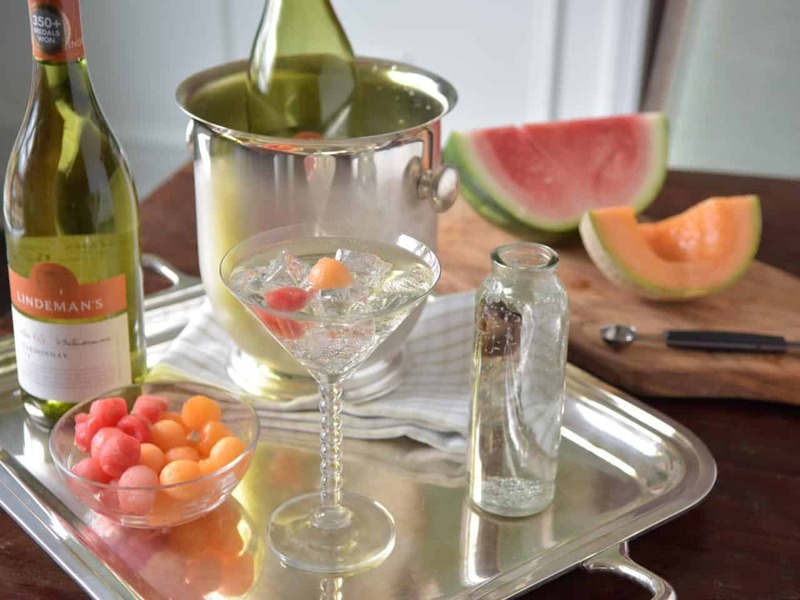 Are you actually looking for something slightly fancier that you can prepare in a champagne flute and set by each person’s place setting like you’re serving a lovely springtime brunch in a restaurant? 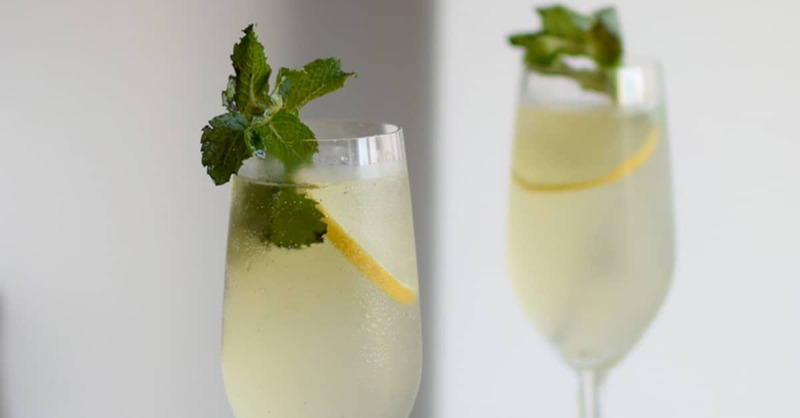 In that case, we’d definitely suggest making Vine Pair‘s Mediterranean sparkling spring cocktail that has lemon, mint, and a bit of a spritz! 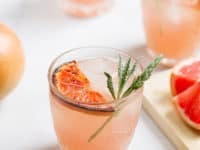 Did we really catch your attention when we started talking about cocktail recipes that involved grapefruit, but you’re not the kind of person who enjoys sweet and salty tastes in one place and you’d rather just go with sweet things? 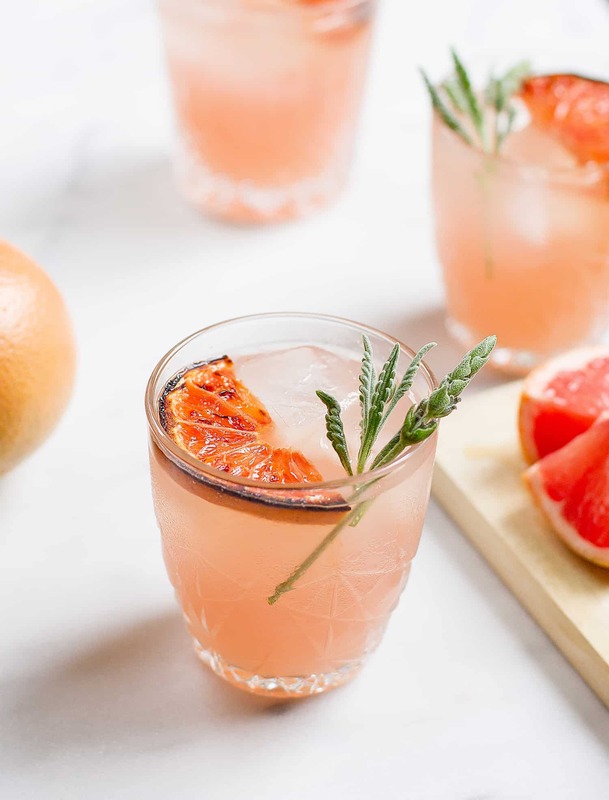 In that case, we’d absolutely suggest taking a look at how The Good Drink made this scrumptious lavender and bruleed grapefruit greyhound! 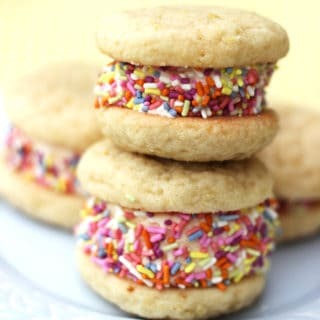 By now, have you seen several flavour ideas, like lemon and honey, that you really like the sound of but they’ve all been split between different recipes while you’d rather have them together? Well, whoever said you have to choose between them? 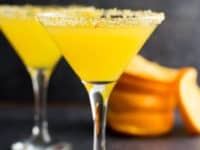 Check out how Sugar and Charm combined them wonderfully in this fragrant honey citrus cocktail. 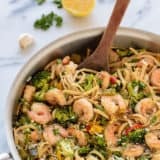 Maybe you’re throwing a springtime celebration party that’s supposed to feel like a nice, casual brunch between friends but that you know will last all day and into the night as well? 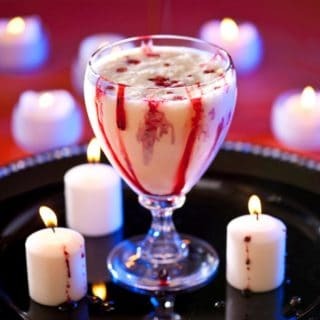 Then we’d suggest combining daytime and nighttime drink concepts into a singular delicious beverage for your guests! 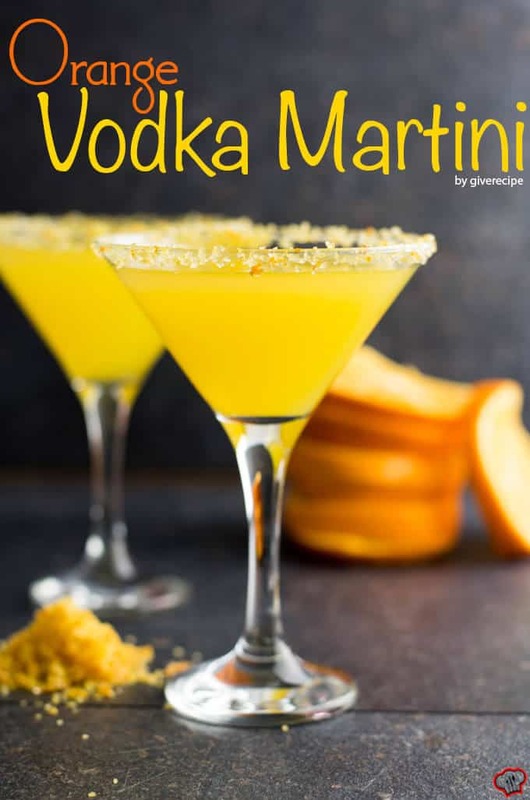 These orange vodka martinis from Give Recipe are the perfect example of what we mean. 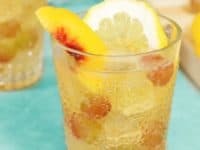 Sangria is a classic fruit filled beverage that we adore making and drinking and have prepared for more get togethers than we can count. The best part, however, is that there are actually so many different kinds of sangria you can make! 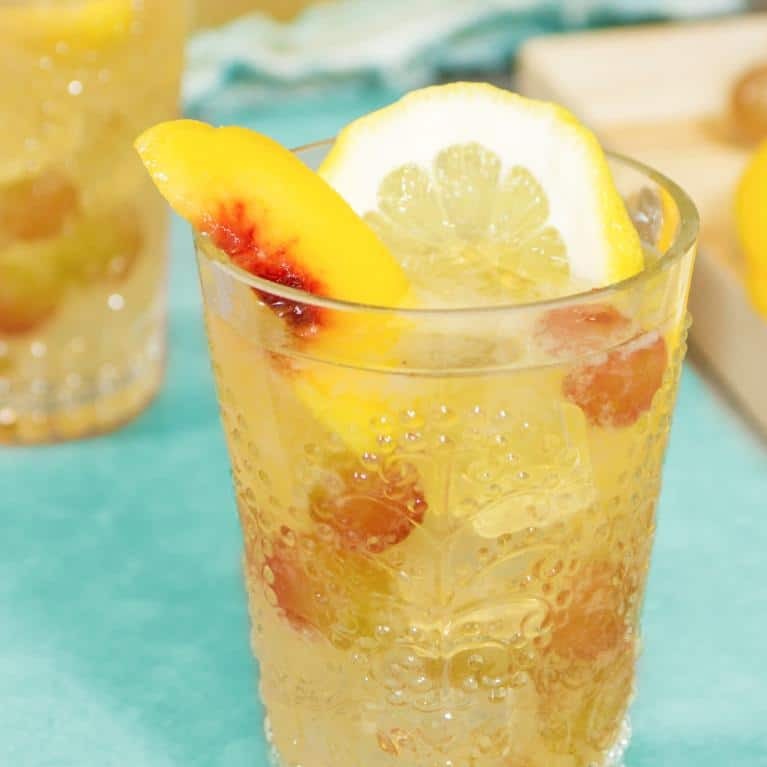 We’re huge fans of this specifically spring inspired sangria from The Cocktail Project that’s made with lemonade, peaches, and grapes. 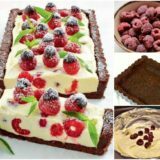 It tastes a little lighter than the classic darker red wine version you might be used to! 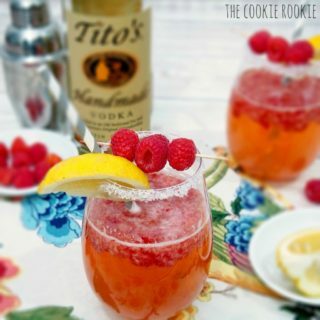 Rather than making an entirely new kind of drink, would you actually prefer to put a simple but nice tasting springtime twist on a classic cocktail that’s always been a favourite amongst your friends? 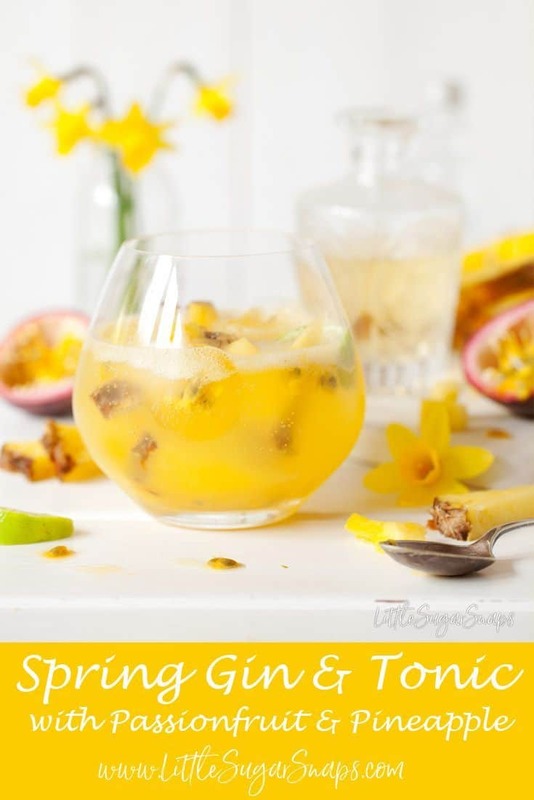 Well, if you’re gin and tonic people, then we think you simply must take a look at the way Little Sugar Snaps made this springtime gin and tonic with passionfruit and pineapple. 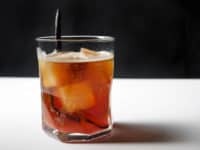 Spritzers are a classic, diverse cocktail that you can make in all kinds of flavours and versions, which is part of what makes them so awesome. 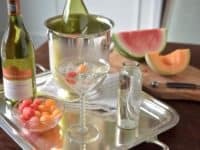 That’s why we were so pleased to come across this simple but delicious springtime version that’s perfect for melon lovers! 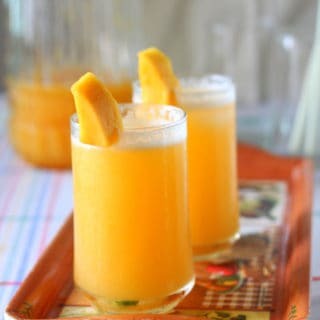 HGTV guides you step by step through the process of making the sweet melon flavour happen with cantaloupe and honeydew. 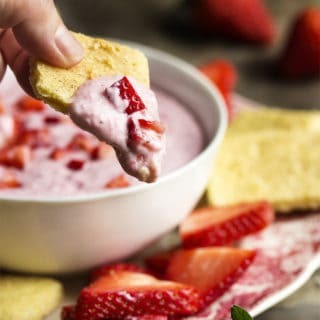 Where we come from, rhubarb is a huge part of springtime and spring inspired recipes because that’s when it’s finally ripe and at its most delicious! 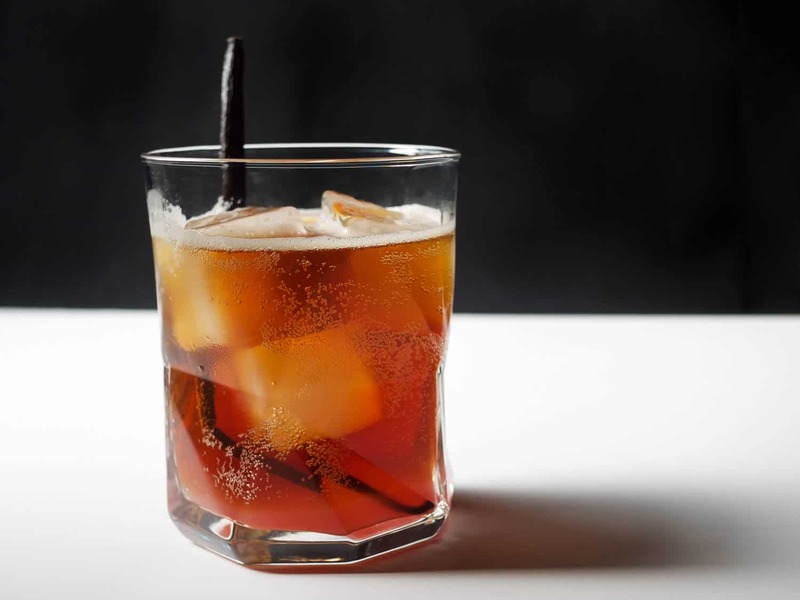 That’s why this fantastic rhubarb cocktail from Serious Eats caught our attention so well. It tastes a little bit like cream soda but, because of the great rhubarb flavour, it’s even better, if you ask us. 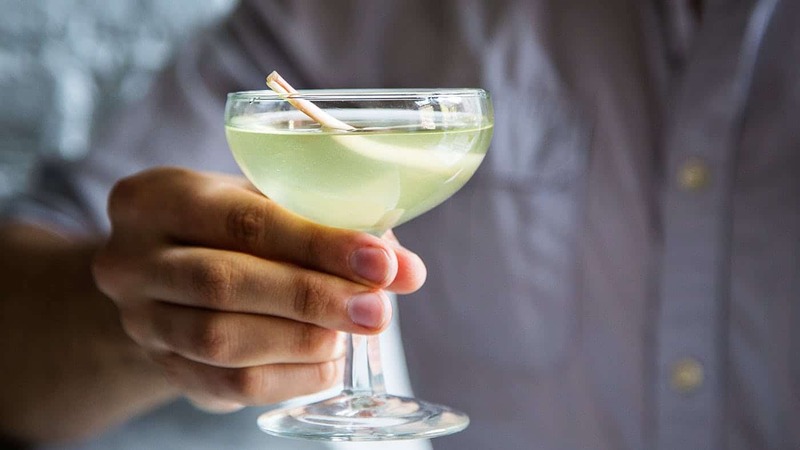 Yes, you read that right; this particular cocktail is actually flavoured with spring onions, but no, it doesn’t stink and no, it’s not just savoury and salty! 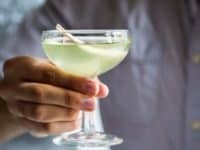 Just in case you’d much prefer a martini with olive juice poured right in over sweet floral cocktail any day, this spring onion version of the same idea, outlined step by step on Tasting Table, just might be the perfect drink for you. 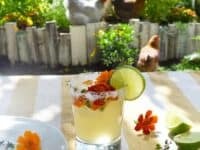 Did we actually really catch your attention when we started talking about floral cocktails made with edible flowers because the whole concept is the most delightfully spring-like thing you’re ever heard, but you want an even more floral recipe than you saw before? 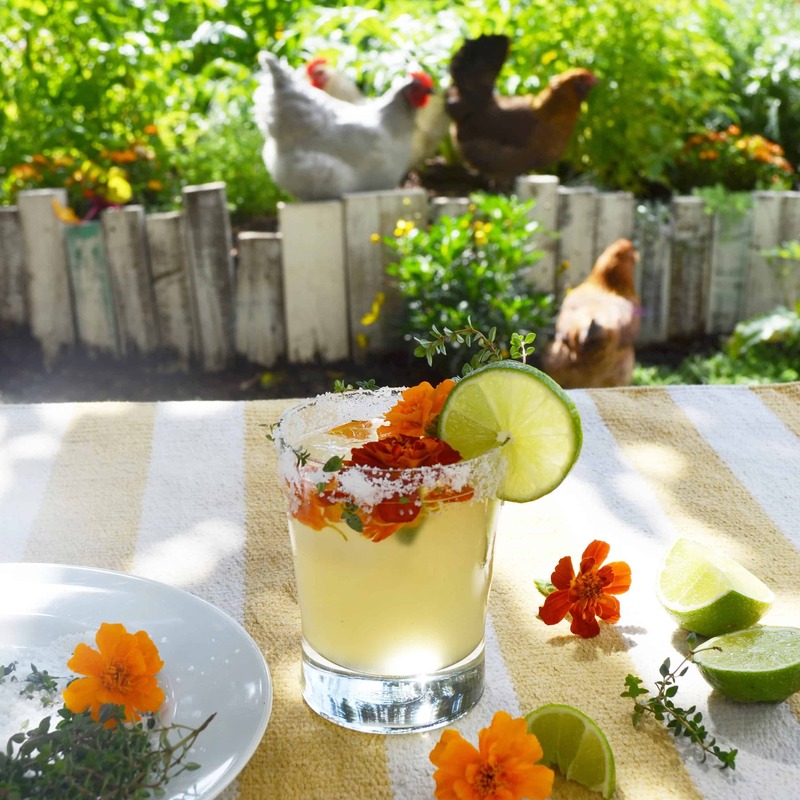 Then we’re pretty sure this gardenrita from Drinking With Chickens might be right up your alley! 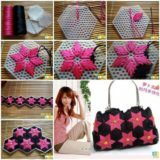 See how it’s made with marigold syrup and marigold petals. 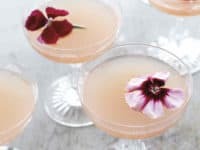 Perhaps the reason you’re looking up spring cocktails is actually for the annual Easter brunch you love hosting for your friends, rather than just celebrating spring itself? 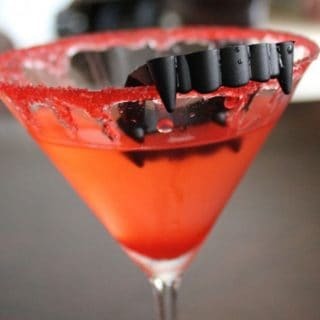 Then maybe you’d prefer to make a spring cocktail that’s a little more explicitly Easter themed. 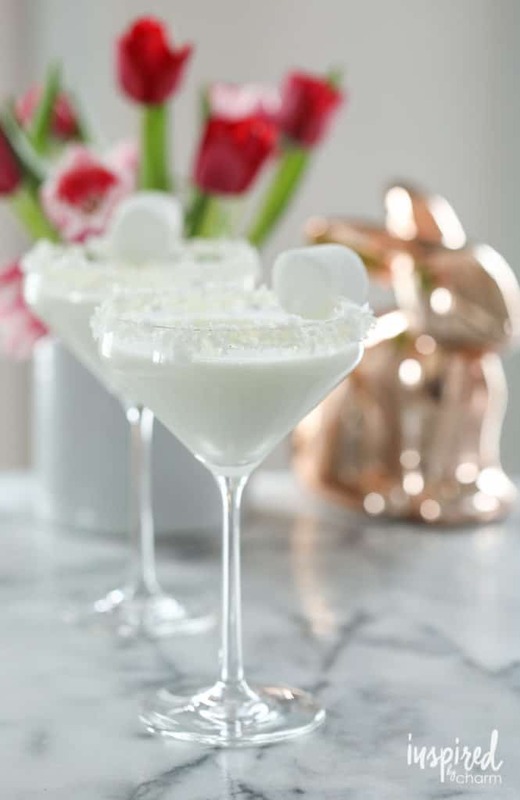 We’d suggest trying this wonderfully flavoured and totally adorable looking cottontail martini made from coconut and marshmallows. 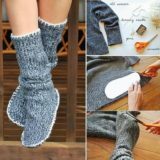 Get the full details on Inspired by Charm.